Home Uncategories Are you going to tell me your name? Her voice was like a caress against his skin. He turned and came face to face with the gorgeous beauty who he'd been watching dance the night away. They'd locked eyes every once in awhile and she would give him a seductive grin before she spun around and got lost in the music again. Now she was standing in front of him, asking if he wanted to dance with her. He'd turned down every other woman who'd asked. But he was drawn to her unlike any other woman in the club. He downed the rest of his drink before he spoke. "I don't dance much." She gave him that mischievous grin she'd been giving him all night and reached out and grabbed his hand. "That's okay," she said and pulled him out of his chair. She spun around, and shimmied from side to side as a new song began to pulse through the speakers. She turned to face him and pressed her body against his and placed one of his hands low on her waist. "Close your eyes," she whispered into his ear. He felt a little apprehensive at first, worried that he might make a fool of himself, but as if reading his mind, she added, "Don't think, just feel the music and move to it." And then they were dancing. Their hips moved together in time with the sensual music; rolling, grinding and gyrating to the beat. Then she would turn her body, so that her back was facing his front. There was no hiding the desire that she was stirring up inside of him, but she didn't seem to mind as she continued grooving with him to the beat. "I've been watching you dance most of the night," he murmured into her ear. "Thank you. You're not too bad yourself." "So, are you going to tell me your name?" he asked. "No?" he repeated with a raised eyebrow. She shook her head and smiled. "What's the point? We're just sharing a dance." "Well...what if I want to dance with you again sometime?" She pressed her body against his again, and pressed her lips to his ear. "If you find me again, I'll tell you my name." 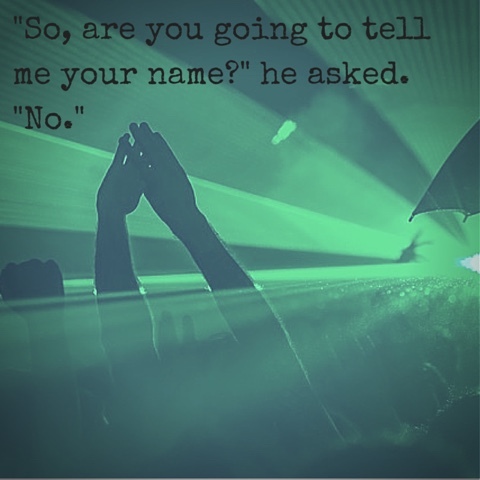 Dylan Baxter turned around in every direction, and then shoved his way through the crowd searching for his mysterious dance partner, but it was as if she'd disappeared into thin air. He hurried to the exit and looked up and down the street of Ocean Drive of Miami Beach. His first night back had certainly been interesting, but there was one thing he knew for sure. His gut told him that he would see her again. And his gut was almost never wrong.